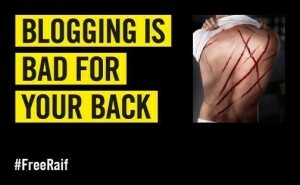 Blogging is bad for your back! Ångestloppet Spring eller gå 209 meter från starten på S:t Paulsgatan till målgången utanför Fountain House på Götgatan 38. Kom till Fountain House port, Götgatan 38, en stund innan för att få ditt startnummer. Fredagen den 23 mars kl. 14:00! This ancient Black Forest cuckoo clock is residing in my father’s house, and it sounded really, really sick, like it had OD’ed on NEMBUTAL … so I was obliged to fix it. (My father is 88 and seems to get his cues from the cuckoo these days… 😉 Well actually he can’t see so well but his hearing is pretty good.) It was taking like 30 seconds to perform each cuckoo sequence, so at midnight the performance just went on and on… and slammed the door open and shut each time besides! OMG! What a racket! But luckily a little squirt of WD-40 set the cuckoo back to normal… heh heh just like viagra! Pang boom & he was young again! Just Say NO To Old Age: Professor X isn’t the only one with incredible mental powers: recent research says that you might be even better at brain-boosting, helping heal yourself with the power of a positive attitude – while he can’t even summon up the mental energy to stand. … in one experiment Langer shut several septuagenarians in a hotel that had been redecorated in mid-eighties style, eliminating all evidence of the last two decades. Subjects were instructed to act as if they’d really gone all Doctor Who, and after only seven days they were faster, stronger, better than before. Stronger for seventy-year olds, anyway, and certainly stronger than a control group who didn’t get this amateur time-travel and were basically left to think about how damn old they were. Dr Langer’s theory is that all the external reminders that “you are old and broken” can convince the brain and body that it must be so. It’s quite possible – anyone who talks about brain and body as if they were separate items isn’t using either properly, so all kinds of unconscious instructions could affect your health. There’s no “be healthy!” switch, and this can’t prevent aging (that’s a job for the gene-workers) – but it can slow the clock down.